‘HAMMER’ was devised by top experts, including Nasa, the National Nuclear Security Administration (NNSA), and two Energy Department weapons labs, according to Buzzfeed. 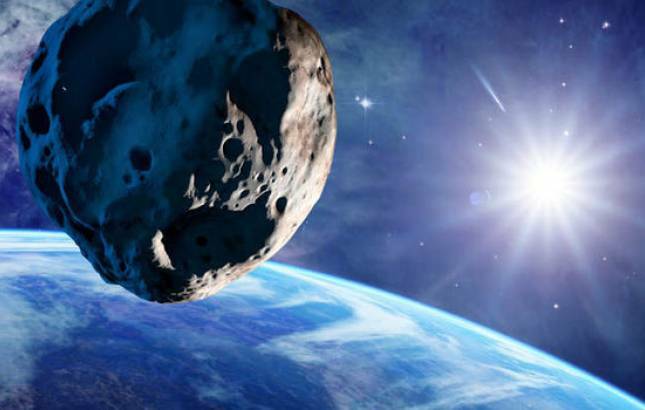 Doomsday asteroid measuring almost 500 metres would hit the Earth and wipe us all out by 2035. Researcher says that it's even bigger than the Empire State Building and travels at an estimated speed of more than 100,000km/h. The US space agency has published details of its Hammer Hypervelocity Asteroid Mitigation Mission for Emergency Response) deterrent, an eight-tonne spaceship which could deflect a giant space rock. The spacecraft can dispatch an asteroid collision threat in two ways. 1. The first will involve hitting the asteroid, and then steering so that it doesn’t hit the Earth. 2. The second be dangerous as it would see the HAMMER detonating its onboard nuclear warhead to change the asteroid’s course. “If the asteroid is small enough, and we detect it early enough, we can do it with the impactor,” explained physicist David Dearborn. According to scientists, this can be useful in 2035 as there is a 1 in 2,700 chance the Bennu asteroid will hit us. “The impact would release energy equivalent to 1,450 megatons of TNT,” he said. Earlier this week, a team of Russian researchers from Rosatom, the state nuclear energy corporation, and Moscow Institute of Physics and Technology (MIPT), announced they had constructed and blown up tiny asteroids in the lab to calculate how much power it would take to prevent a devastating impact.